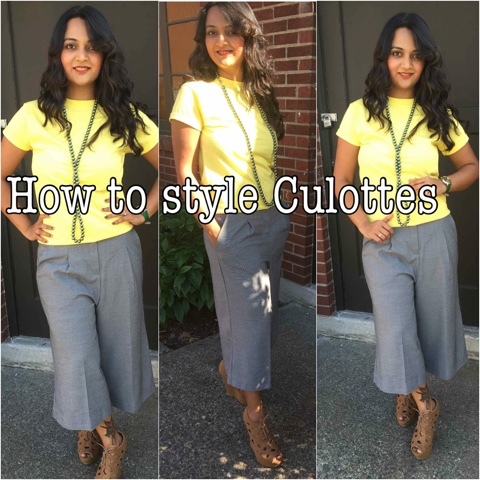 Culottes are trendy pants which most celebs are seen in, these days. They are wide legged pants which vary in lengths. Most of them are below-the-knee length. They are pants which give you the comfort of a skirt. I have been admiring fashion enthusiasts sporting different looks in culottes. I bought my first pair too few months ago. 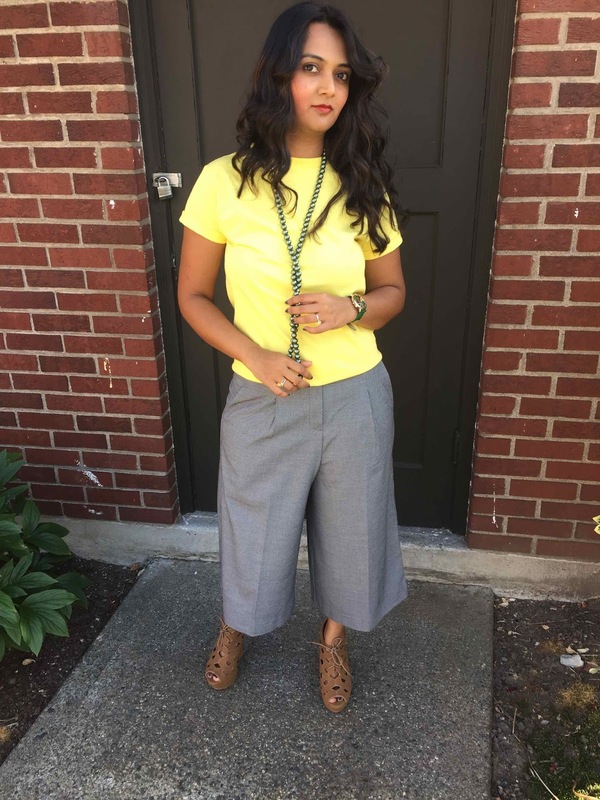 Culottes are wide pants and are meant to give you a lot of room for your legs to breathe. 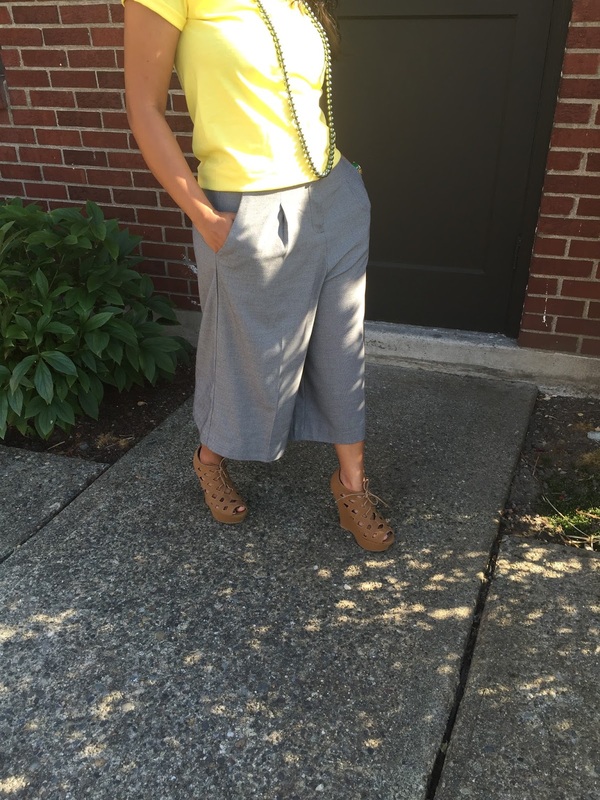 That makes culottes the most comfortable pants to be in while traveling or running errands or just shopping. 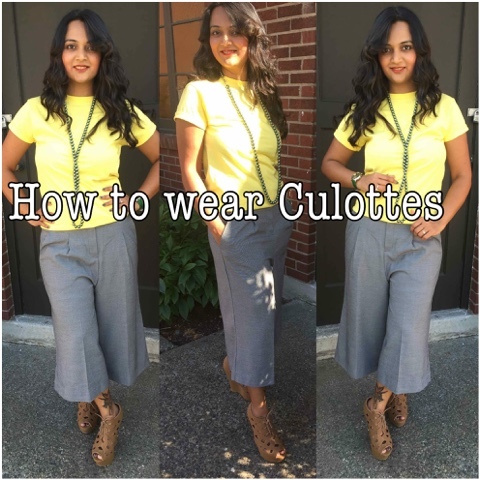 Since culottes are loose and not fitted its best for women with skinny legs. Those who always wish to wear something to look a size bigger culottes is a boon. But if you are bottom heavy then again culottes is not your the garment to flatter you. Instead it might add more attention to your problem areas. I would advise wearing a crop top or a short top which just reaches your waistline is the best option. As it breaks the body into two distinctive parts. If you have a hour glass figure then you could also dress up in the monochrome culottes with the same print and fabric top. If not, I would suggest wearing contrasting tops or shirts. 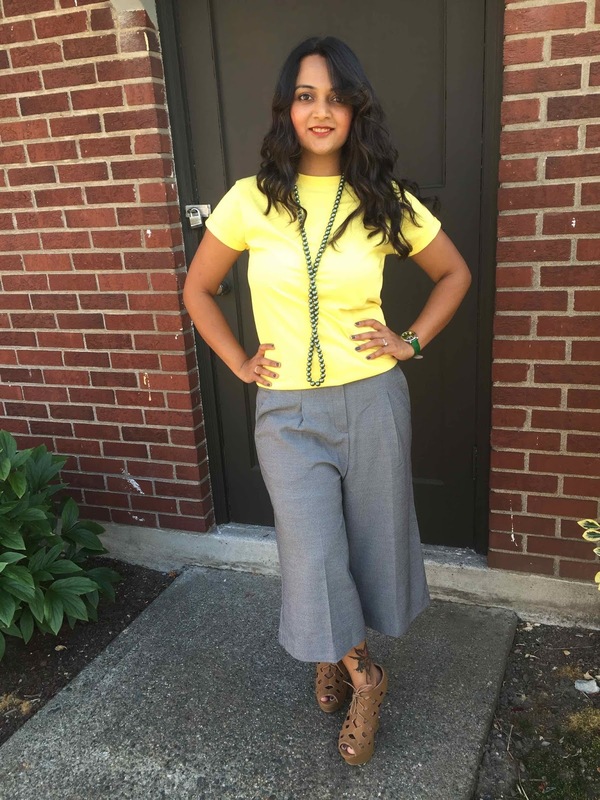 This is one way how I styled my culottes, stay tuned to see more of these in the upcoming posts. Nice one....I love the fall of the culottes. The hair is stunning, the make up subtle, but beautiful, the necklace - wouldn't have though such an unusual one would work, but it is astonishingly matched! Wish I had your fashion sense.